The XDS560v2 LC Traveler is the most cost-efficient version of XDS560 class high performance emulators for Texas Instruments processors. 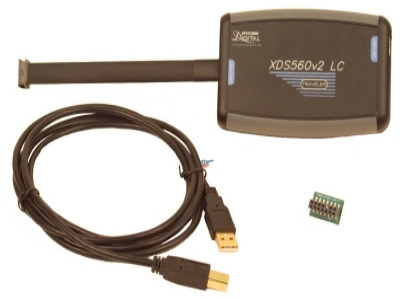 The XDS560v2 connects to the host PC via USB2.0. Power is supplied via USB.